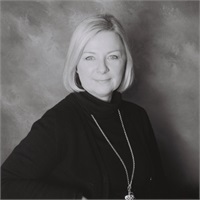 Dawn Hamer | McHugh CPA Group, Inc. Dawn covers a wide range of consulting, accounting and tax services to a variety of clients. Dawn holds a Bachelor of Fine Arts Degree from Florida Atlantic University and Masters of Business Administration in Accounting from Brenau University. Dawn currently serves as Treasurer for the Mill Creek High School PTSA and has served as President of the Mill Creek High School Lacrosse Booster Club.